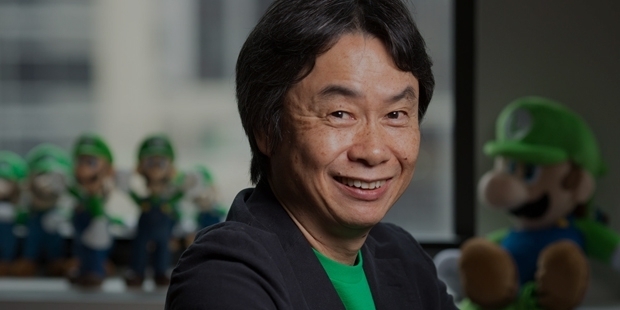 Thought of by many as the father of video gaming, Shigeru Miyamoto remains one of the creative world's most important and influential figures. Born in Kyoto, Japan, in November 1952, the well-known video game innovator was an adventurous child, frequently exploring the countryside that surrounded his small town, and venturing into forests and caves in search of adventure. These experiences would later play an important part in his dream career. 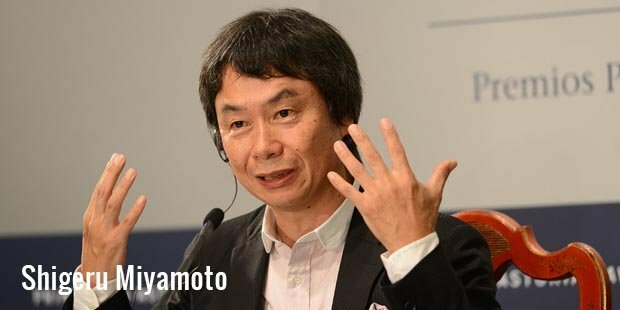 Miyamoto himself attributes a great deal of his adventure-inspired games to his childhood, most notably the sense of amazement and wonder that he felt as a child while exploring the Japanese countryside. Obsessed with manga and seeking a job as an animator, he studied at the Kanazawa College of Industrial Arts. While Miyamoto's initial passion was for manga and static art, he saw the growing computer game industry as an opportunity to create visually impressive products that also allowed their users to be a part of the story. The gaming industry was far from advanced at this point – games like Pong had dominance in arcades, the color gaming was just becoming a technological reality. Nevertheless, despite the industry's infancy, Miyamoto took a job at the Nintendo Company, a small company specializing in playing cards and board games. The company had caught sight of the huge wave in video gaming, and hoped to make itself a key player in the industry. Miyamoto helped the struggling company enter the Japanese arcade market, and later the United States gaming market. After early failures, Nintendo hit success with the Donkey Kong arcade game, one of Miyamoto's own creations and by all admissions a nightmare of programming and design. The game was far more complex than anything that had preceded it, differing from the shooter-style games that had previously dominated the industry. Nintendo's success extended into the home gaming market, and with the release of the Nintendo Entertainment System, Miyamoto experienced a new design freedom. He created landmark titles like The Legend of Zelda, a dungeon-crawling adventure game that drew upon his experiences in his hometown as a child, exploring local forests and sneaking into uninhabited caves. Other franchises also took off for Miyamoto. The Super Mario game series became Nintendo's flagship gaming franchise, selling hundreds of millions of titles throughout its lifetime. Metroid, a science fiction space game, and Starfox, an innovative three-dimensional shooter soon followed, bringing new franchises and merchandising opportunities to the successful Nintendo Corporation. Miyamoto's career has, however, had its downsides. The disastrous licensing deal between his own company and Phillips resulted in fan backlash against his creations, and the company's overbearing and arrogant stance on used games in the early 1990s created many enemies. 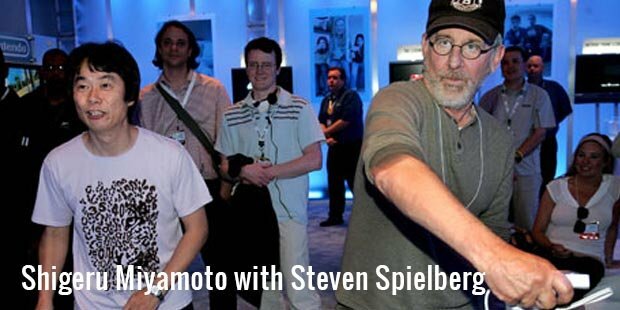 However, Miyamoto's instincts always caused him to learn from these experiences rather than to ignore them. While Nintendo's CEOs have changed over the last few decades, and Miyamoto has never occupied a leading financial management position within the company, he's undoubtedly Nintendo's greatest creative contributor. From his innovative titles during the early years of gaming to his polished and critically acclaimed later games, his career is one that's inspired thousands of other game designers.